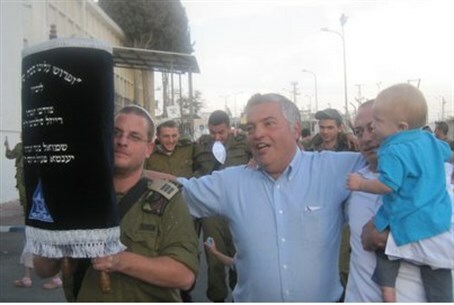 Joyous ceremony held as Torah scroll that survived the Holocaust paraded to its new home in a Beit El IDF base. 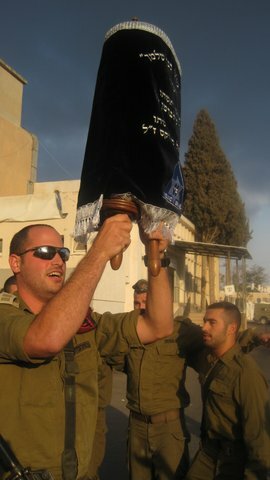 A particularly moving dedication ceremony was held at the Binyamin Regional IDF base in Beit El on Sunday during Sukkot, as a Torah scroll from Romania that survived the Holocaust took its place in Samaria. The scroll was dedicated by David and Aviva Glogower of Skokie, Illinois, who attended the Beit El ceremony accompanied by their parents, family and friends. 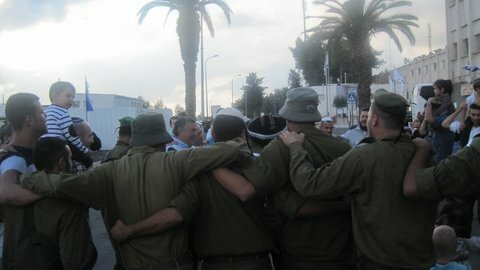 Speaking at the IDF base hall on the occasion was the Rabbi of Beit El Rabbi Shlomo Aviner, along with IDF commanders and rabbis, as well as International Young Israel Movement (IYIM) President Ceec Harrishburg and David Glogower. 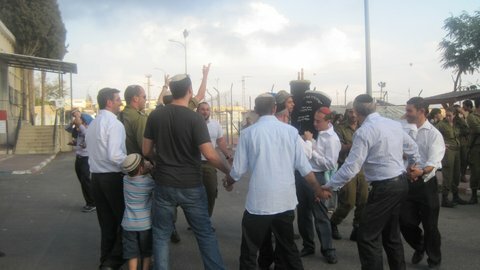 After the speeches, soldiers and participants paraded the Torah around the base grounds with dancing and singing, accompanied by Hassidic musician Akiva Margaliot. It was eventually led to the ark in the base's synagogue. 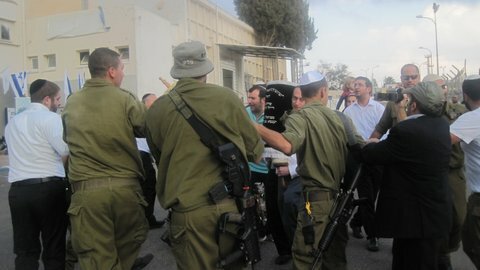 IYIM, which facilitated the dedication, will organize the donation of three other Torah scrolls to the IDF between now and Hanukkah.